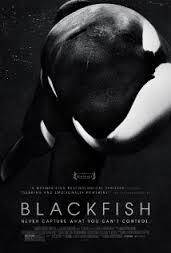 Blackfish – Did You See That One? Tilikum is one of the prized possessions of the entertainment company SeaWorld. 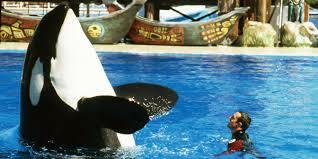 Tilikum has also been responsible for three deaths and several other injuries to the people working with him. 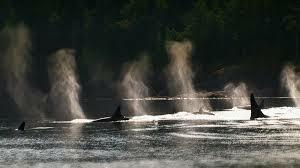 His dangerous behavior has not deterred SeaWorld from continuing to work with these beautiful and powerful creatures. This is a powerful documentary that takes a good look at the industry that has attempted to tame these majestic and massive creatures. 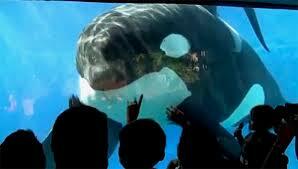 The film features some emotional interviews with many of the people who’ve been a part of Tilikum’s life. These interviews include the people hired to capture the killer whales for places like SeaWorld and the trainers tasked with taming the killer whales. In addition to the interviews, this film also contains footage from several of the dozens of documented incidents involving the whales. The video is incredibly graphic, showing the brute strength that these whales possess. This documentary takes a straightforward look at the true cost of business associated with killer whales. On the surface, companies like SeaWorld feature a blend of learned behaviors and natural life in their acts. Beneath it all, there is an animal fighting against unnatural conditions of living. These whales act out against one another as well as those tasked with their care. In the end, this conflict has cost three lives and injured many others. I will note that no one from SeaWorld or any other company in possession of killer whales was willing to be interviewed or comment for this film. This documentary was powerful and moving. Like all the best documentaries, this one makes sure to leave viewers with a lot to think about. I think it’s worth seeing if you’re interested in the truth behind the entertainment value of the killer whales in captivity. I would also recommend this to fans of documentaries in general. This is put together nicely, maximizing the information it gives without losing focus. I give this one 4 out of 5 stars. Great review! Totally agreed, this is one amazing documentary. One of those that I plan on watching when I can put up with getting upset at humanity. Have you seen The Cove? Man, was that infuriating. I am still afraid see The Cove. I hate animal cruelty and it’s hard to see.